The response I have received from the bug party has been amazing! In fact, Michelle at Maddcakes Muse was nice enough to feature the party today! If you haven’t been to her blog before, you need to check it out! She’s got great party planning tips and ideas. 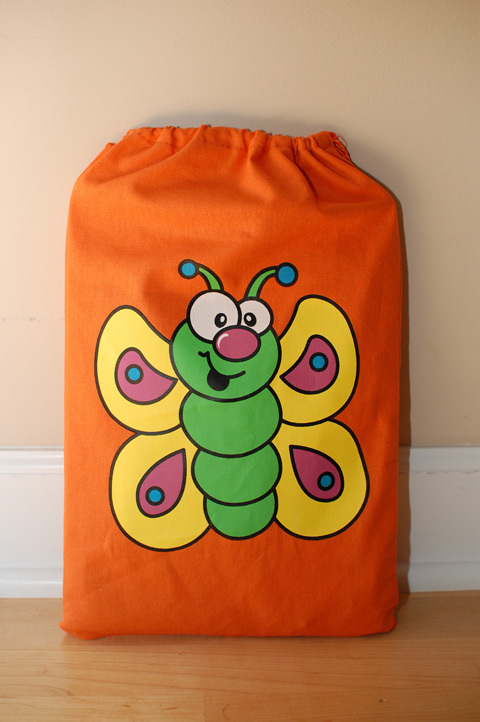 After receiving several questions about the goodie bags, I realized I forgot to include a picture of them. Oops! Each bag contained one puzzle. The older kids got those cool magnetic ones with the net to catch the bugs. 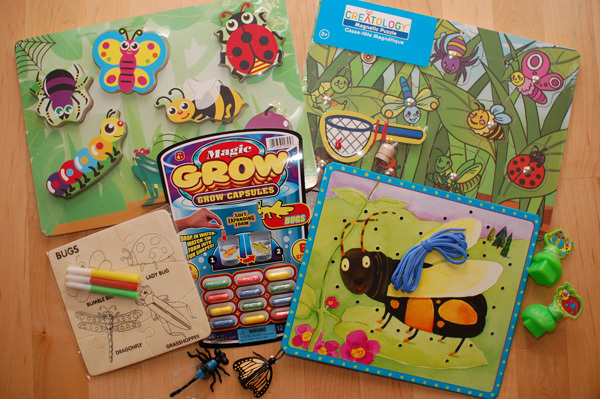 There was also a puzzle with markers, lace up card, magic grow capsules, bubbles, finger puppet bugs, and (not pictured) gummy bugs and graham cracker bugs. I always like to send the adults home with a favor too. These beautiful cookies were made by Pam at Cookie Crazie. I (with lots of help!) 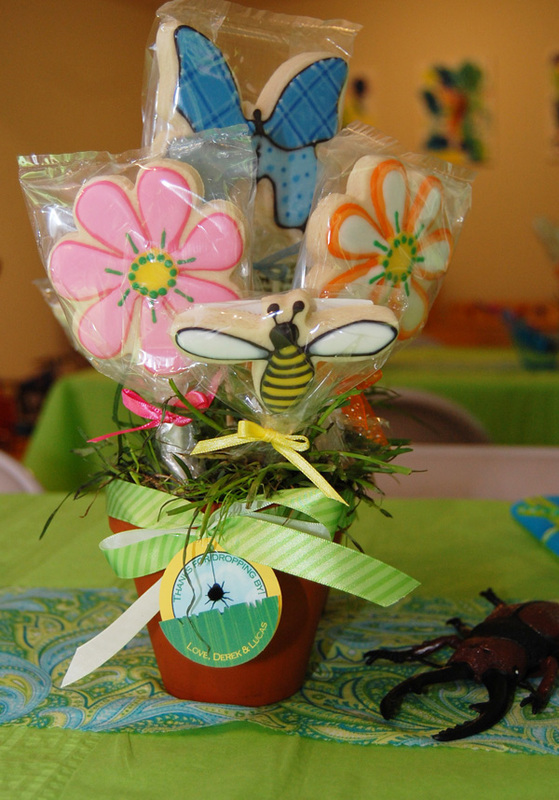 attached them to sticks and put them in the pot to create a bouquet.